The most destructive wildfire in state history tore through Northern California this week, killing at least 48 people and destroying more than 6,500 residences, while another blaze left two dead in Southern California and had burned nearly 100,000 acres when The Week went to press. 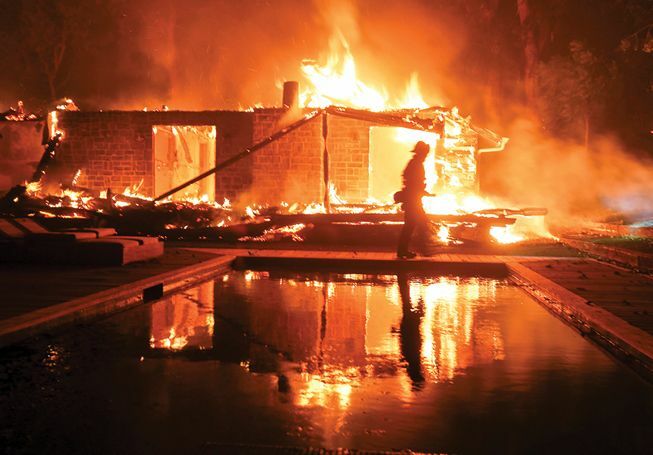 The Camp Fire demolished the town of Paradise, 145 miles north of San Francisco, within hours, and hundreds of residents remained missing days later. Thousands of responders struggled to contain the fire, which at one point jumped 140 feet across a seven-lane freeway. In Ventura and Los Angeles counties, the Woolsey Fire lapped at the borders of L.A., destroying 435 structures and spreading devastation from mobile-home parks on the fringes of the city to glittering celebrity-owned mansions in the Malibu area. More than 300,000 Californians were evacuated, as people throughout the state were warned of dangerously smoky air.